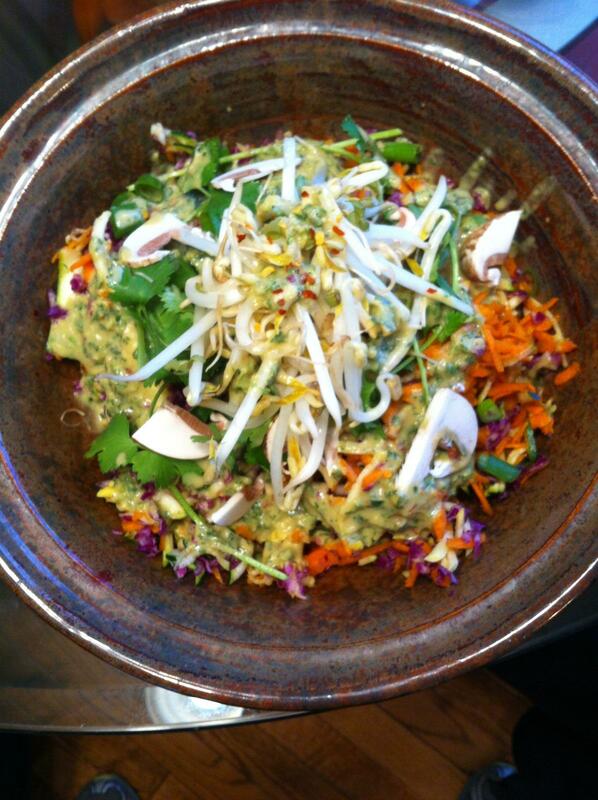 May 12, 2014 May 13, 2014 k3fitLeave a Comment on Meatless Monday: Pad Thai! Traditional pad thai is made with noodles and a spicy peanut sauce, you can get it with shrimp, chicken or vegetables. It is extremely laden with sodium and fat BUT my version is full of flavor, freshness, colors and health! MY Pad thai per serving which is about 2-3 cups. you can definitely give yourself a nice big portion its all great stuff! Pour sauce over veggie mix and top with crushed red pepper,bean sprouts, cilantro, diced colored peppers,sliced mushrooms and peanuts or pistachios if you like! You can even add in some edammame if you want an exrtra plant based protein boost on top! Enjoy with a leafy green salad of all kinds of fun vegetables and or fruits and you have got a rockin’ healthy meal that will shape your body in a good lean way! Next Spring Slim Down – Vacation Style!